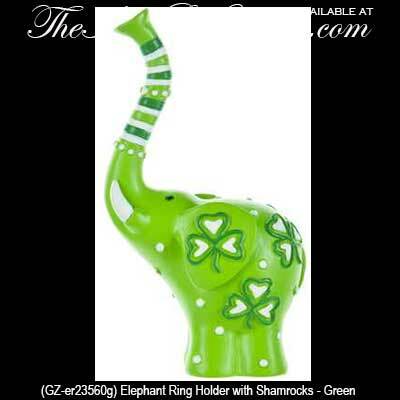 This green elephant ring holder with shamrocks is a fun way to guard your rings. This elephant ring holder with white and green shamrocks measures 2” wide x 3 1/2" tall. This shamrock ring holder is made of resin and is gift boxed with a bit of shamrock history.